If you think the weather is a bit chilly right now, imagine what it would be like at -30 °! This is the possible temperature that local girl Rachel Frei Bandieri might encounter when she runs a 150km race in Finland in two weeks time to support the animal park of La Garenne, based in Le Vaud (read more about this animal park below). To participate in the Rovaniemi 150 race, a 150km non-stop race on the 20 – 22nd February, runners must carry all their food and complete equipment (sleeping bag, camping gear etc) with them and manage their race to finish within the 42 hour time limit. 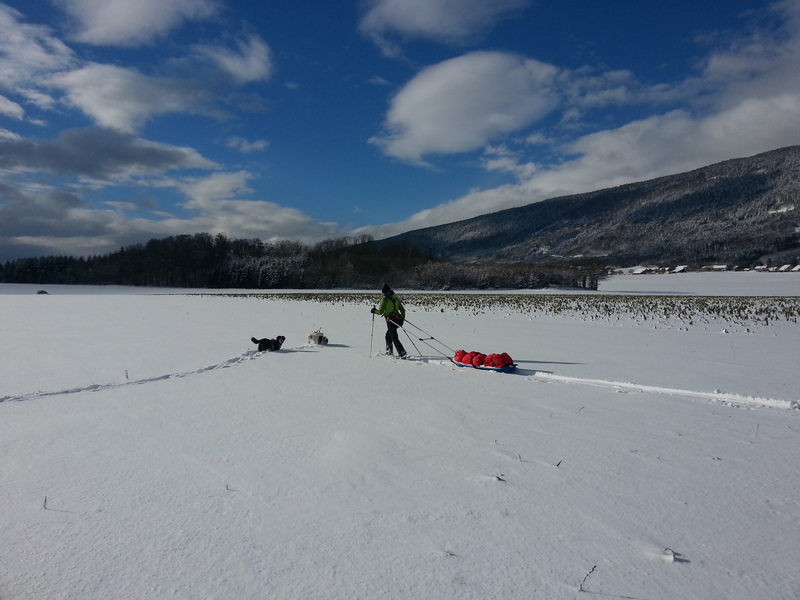 It can be done on foot, ski or bike (on fat bike, a specific bike with wide tires to ride on snow). Rachel says; “I have chosen to do this race on foot, because I am definitely much more used to walking and running, than skiing for hours”. This race is a dream for me! 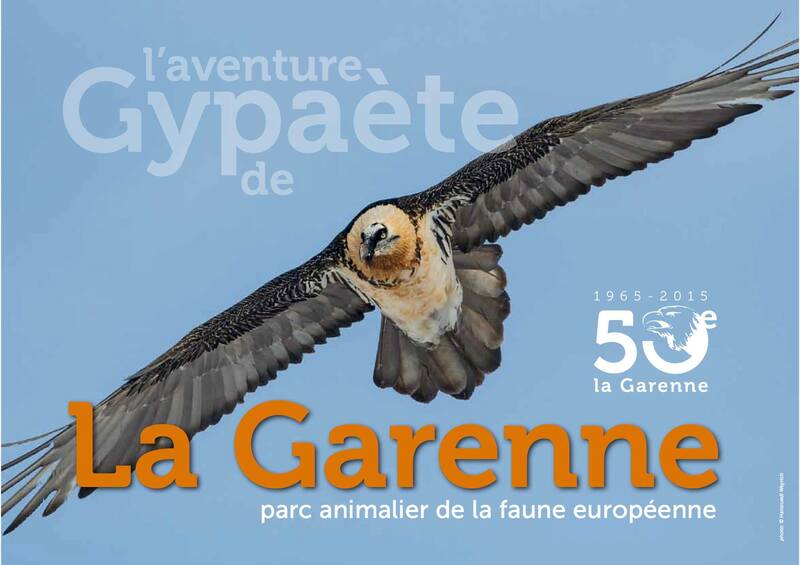 And I know it can bring a lot to the La Garenne animal park. Animals and nature hold a special place in my life, and I am very happy and proud to give my support in an original way to the proper functioning of the park. By the way: the wolf, which is one of their emblematic animals is also the logo of my personal training company! The Animal Park of La Garenne in Le Vaud itself has four missions: to collect and take care of injured or rescued wild animals, to participate in the preservation and reintroduction of threatened species, to provide educational services to the environment and finally, to present European fauna to the public, so it seemed an obvious choice of charity for me to support. 36 year old Rachel is an all-terrain athlete, animal and outdoors lover. Having developed an early taste for adventure and unconventionality, Rachel travelled around Australia for 6 months when she was just 18. The following year, she set off for a trek on horseback in Mongolia, a newly open-to-tourism country. In between studies and work commitments, she travelled the world, often on foot or in a 4 x 4 vehicle and says; “I always did this in a spirit of respect when meeting other cultures”. 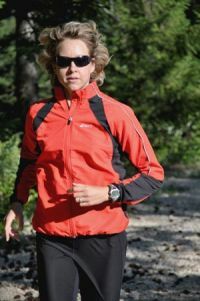 In 2006, she discovered trail running and fell in love with the discipline that combines sports adventure, surpassing oneself, friendship, authenticity and discovery and says “I enjoy pushing my limits and love the feeling of being in harmony with nature. After being the first to travel the 500km of the Alptrekking in solo in 2010, having led and coached a team at the 100km Charity Oxfam Trailwalker in England in 2012, I needed a new challenge, incorporating the notion of solidarity and support to a cause that is dear to me. Growing up and working in the area, I followed the development of this very special zoo, I brought them small injured and rescued animals and have visited it on many occasions. Their work for local wildlife as well as their educational programmes is truly exciting and admirable and deserves to be supported”. If you too would like to support Rachel in this fantastic adventure in the heart of the polar winter and play an important part in the success of this outdoor and charity project then you click here. See You Tube Video here of the start of last year’s Rovaniemi 150 race.